Thursday, May 5, 4:30 p.m.
Daniel McGowan seems an unlikely candidate for a radical environmental activist. A mild-mannered business major born and raised in New York City, McGowan hadn’t spent a night outdoors before he turned 22. Yet he’s been implicated in one of the most high profile environmental arson cases in US history. Director Marshall Curry (Street Fight) lets Daniel’s story serve as a window into the extreme wing of the contemporary environmental movement. 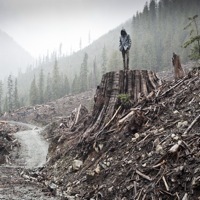 His treatment of McGowan’s formative period in the late 90s Oregon environmental scene helps us feel the sense of injustice and frustration that led many young greenies toward more radical methods—though the film is largely a comment on the futility destructive activism. You won’t walk away feeling proud of environmental extremism, but you will walk away with more empathy for the human characters behind the headlines.